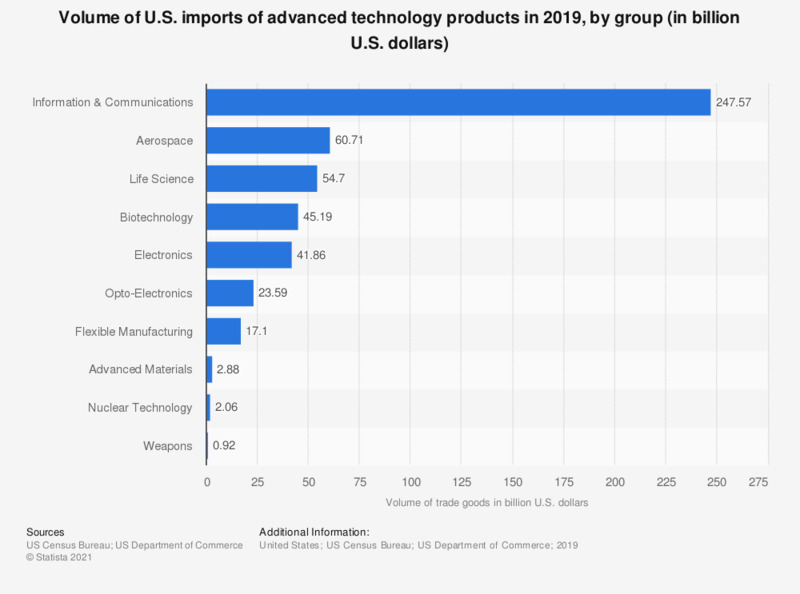 This graph shows the volume of U.S. imports of advanced technology products in 2018, by group. In 2018, the U.S. imported aerospace products worth about 53.98 billion U.S. dollars. Additional information about the advanced technology product groupings can be obtained here.